This is an image of how Propellerheads Reason 10 was released in October 2017 - The following redesign and documentation was created by myself in late 2014 with Photoshop from the ground up. Images of the redesign below it were published on public forums in 2015. The redesign is based upon Propellerheads Reason 8.0 before it was officially released to the public. As mentioned, it integrates many active elements available at any one time. Reason's SLL Mixer still hasn't been changed from the white colour in the 10 years it's been available despite other colour changes to it's UI. The mixer is another element I redesigned...to look dark. Integration of new elements have been placed along side familiar aspects within Reason, to illustrate alternate interactive functionality that Reason doesn't have currently. 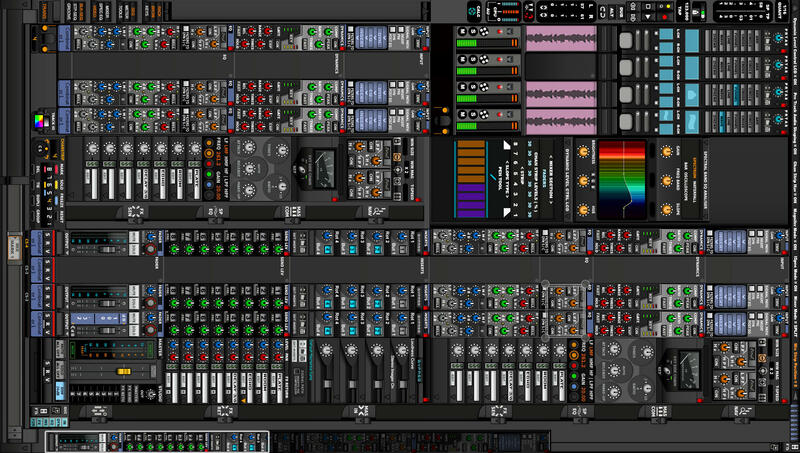 Such as the vertical tabbed names of the instruments, which take up less horizontal screen estate, and still provides easy drag and drop to the main sequencer or multitrack sequencer, whilst being descriptive. Finding solutions was another of my main mission parameters into which to get as much as possible on a one screen working environment. The resolution screen estate I had to work with was exactly as shown below. 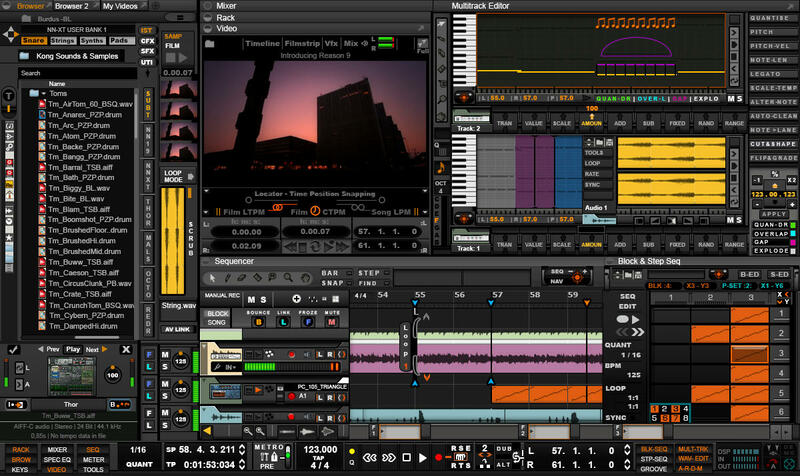 Integration of new tools was another defining aspect in updating Reason as well as ways in which to navigate around it. Taking the last point first, is that if there is one thing I hate having to learn too much of, it's frigging so many key commands and combinations, and I'm not a fan of jumping through multiple sectioned subsections of a right click menu in which to access a feature or forced down a new convoluted predefined path when it comes to how I want to access something that made sense previously. As you can see clearly, all main sections of the GUI are clearly labelled on the transport bar in activation. 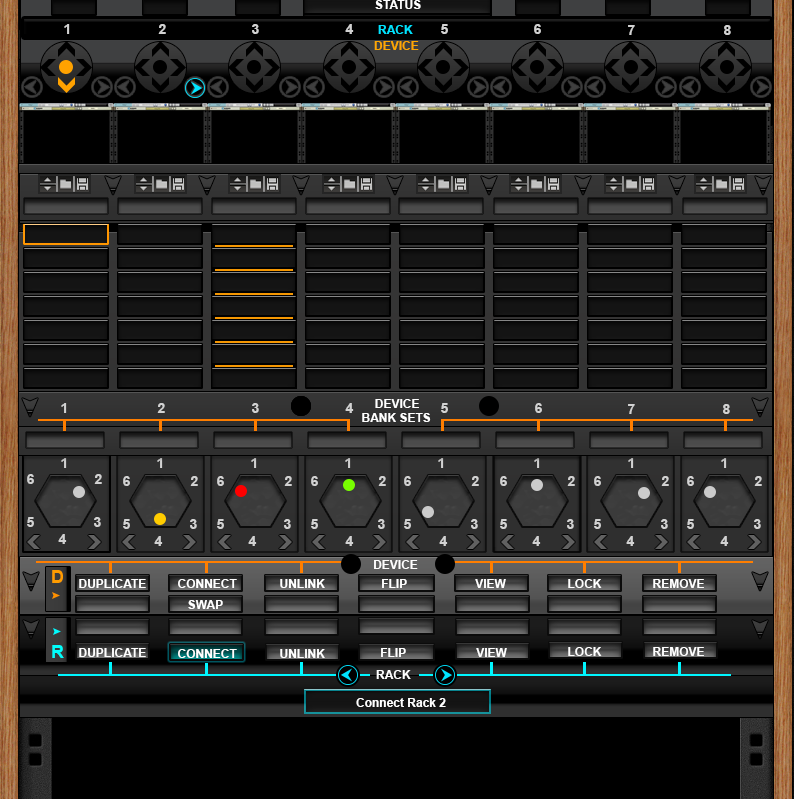 The main sequencer, also includes multiple looping points so you can jump instantly between sections you want to play or come back to or sequence. For example.. when you press play on the main transport you can set it to play only these loops or intermix with main sequence with the ability to punch them in and out within a mix for creative mixing or real-time stage play in addition to bouncing them in various ways. One of the ways in which can be to the new updated block and step editor. Below the main sequencer those loop markers are just one click away. These loop boxes can double as a way in which you time stretch sections of your track. Each sequencer lane has left and right loop markers that can be enabled, selected and adjusted of which multiples of these can be created. 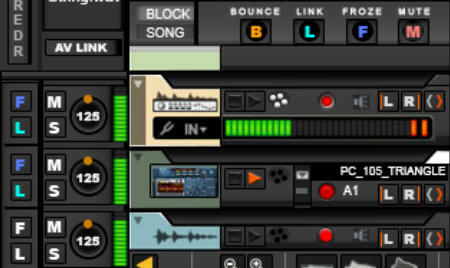 Other options include volume controls, muting, freezing of tracks, linking and bouncing all on the sequencer. This means giving you access to these controls whilst at the same time reducing the size horizontally, of each sequencer lane, giving more space to the note/clip sequences when tabbed. If there was one thing that I tried once and never tried again, it was blocks which came in version 5, it really just felt disconnected from my normal way of working. So I really wanted to come up with better way to integrate that aspect of Reason. 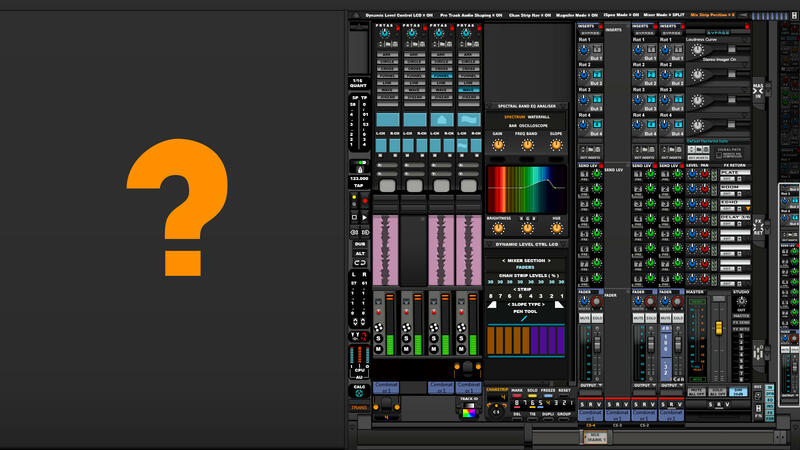 I just want to note that whilst I was aware of other software such as bitwig implementing this kind of thing, I wanted to do this differently, in fact.. with a lot of this GUI design / adaptation there's not a lot of similarity with other software, even in the new video window. The Step Editor is combined with the Block Editor, we have blocks and within those blocks we have the steps. Steps contain the notes or wave files ( which would have a 'W' instead of a number as well as a unique colour that is different to any normal other note number. Steps can be re-arranged and played back on the fly when clicked on. For those that are use to the conventional Block mode, it remains.. so there is no loss of any tracks. The new Block & Step sequencer includes various options including syncing with the main sequencer as well as including easy drag and drop to and from. A display menu of additional information such as the block loaded and additional info would be displayed in the glass window. The new Multitrack Sequencer, as the name implies allows you to apply advanced multiple operations of multiple tracks including viewing and editing in traditional notation, great for those who can read it and those who need to learn it. It integrates the tools menu as well which itself integrates new shaping options such as curving notes through various patterns and visually splitting notes on using the vector based system. 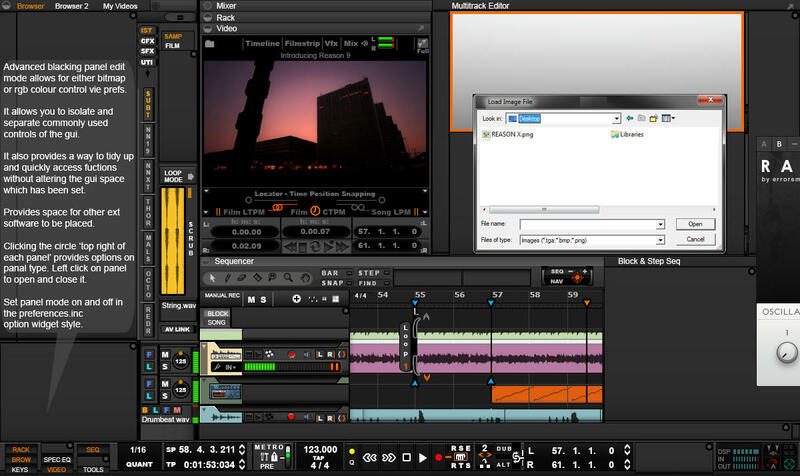 It seamlessly integrates waveform editing which includes basic as well as more advanced editing features of multiple formats including the extraction of audio from film media for editing. Why A New Video Player System ? It's film time now ;-), a feature that has long been requested probably for about as long as Reason has existed. It's something I've wanted for years because I produce film like scores and not having proper time based synchronisation has really been a pain over the years. Reason is today lagging behind the competition in this area despite third party developers adapting ways to try and over come this. It might be fine if you're on a Mac, but it certainly isn't if you're on a PC and of course nothing is gonna beat a properly integrated solution than being inside the application. In the design you'll find all the usual controls including snapping functions to position makers on the time line as well as visual control parameters. How far the VFX controls would go as in whether you would have WinAmp like visual effects possible, I'm not sure, but it could be a nice feature for those with no media to use, or perhaps aid in stimulating your creative mind as you play and experiment. A filmstrip and the wave form of the film is an extra overview of the video loaded, it can be docked horizontally if required. 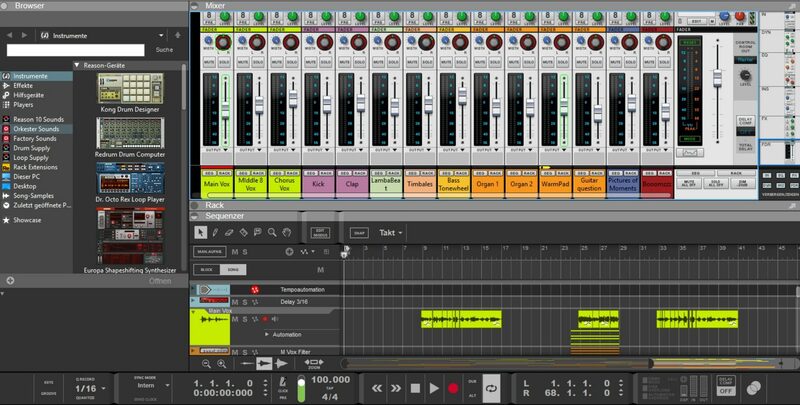 Steptime sequencing, which provides a tracker like programming approach to music production, directly on the timeline or multitrack sequencer. Other features not mention yet is a revised browser with volume control and level indicators, looping and auto-play, clear navigation and banks of favourites clearly visible. Tabbed interface useful for multiple browser management. Improved and identifiable indicators in transport panel, CPU usage, Automation Override and DSP levels. All new elements can be optionally activated vie the preferences menu, tabbed, and minimised /maximised. GUI colours, can be changed to suite your preferences. You design the interface you want to work in, it's modular...in a similar way that Photoshop is. Do note, that the screenshot illustrates functionality of many active elements working at any one time, and focus would be different in actual usage. Not all elements are illustrated or documented. The SSL Mixer below has not been documented, however one familiar with daws should be able to identify or gather an idea of what they are looking at for the most part. Update 23 / 09 / 2017 | Reason Device Rack Manager - WIP concept created in May 2015, not previously shown on any public forums. It was designed to control and manage rack instruments and effect devices more easily and quickly, than was and still is as of Reason 10 a big issue. Last edited by Scott M C4D; 09-15-2018 at 04:42 PM.